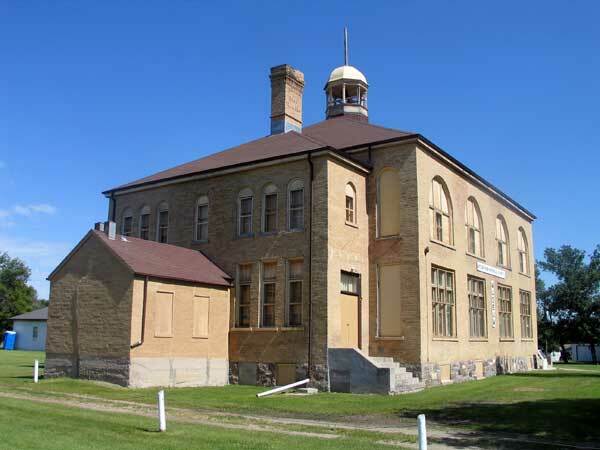 The museum occupies the former building of the Melita Consolidated School No. 440 in the Town of Melita. 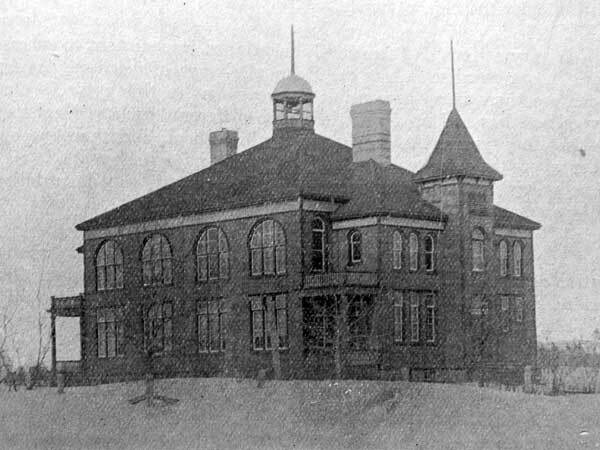 Constructed in 1893, on a design by architect W. H. Shillinglaw, it was a four-room school with its main entrance on the south side. Four more rooms were added in 1905 and brick veneer was added later. Cornerstones are located in the south and northwest corners of the building. Through the years, the rural schools that consolidated with it included Bede School No. 1683, Brown School No. 625, Chesterfield School No. 408, Dobbyn School No. 986, Peninsula School No. 907, Sourisford School No. 906, and West Brenda School No. 388. On the grounds in front of the museum is a bell cast in 1910 bearing the names of Melita municipal officials that year: Mayor R. M. Graham; councillors R. McB. McKay, T. S. Menarry, T. W. Oxley, W. Griffith, and James Robertson; and secretary-treasurer and constable John Graves. 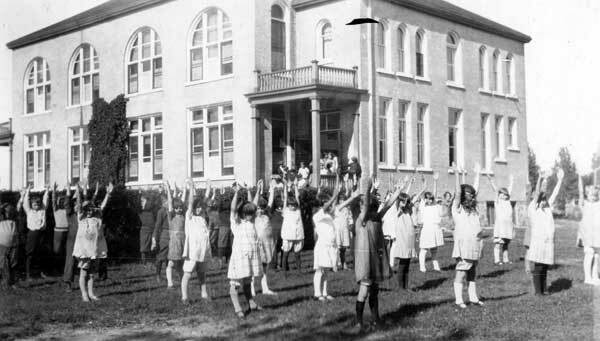 Nearby is a plaque commemorating those from Melita School killed in the First World War, and a plaque describing the ancient Aboriginal traders of southern Manitoba, erected by the Manitoba Heritage Council. Also on the grounds is a small outbuilding housing the Fred Jensen collection of mounted animal specimens. Community history room including exhibits on organizations that have operated in the district, including the Browns Fastball Club, Masons (Oriental Lodge No. 54), IOOF (Lodge No. 20), Memorial Hospital, and Anglican, Roman Catholic, and United Churches. Also featured are photographs and school record books for several small schools that operated in the vicinity: South Antler School No. 351 (1884-1962), West Brenda School No. 388 (1885-1960), Chesterfield School No. 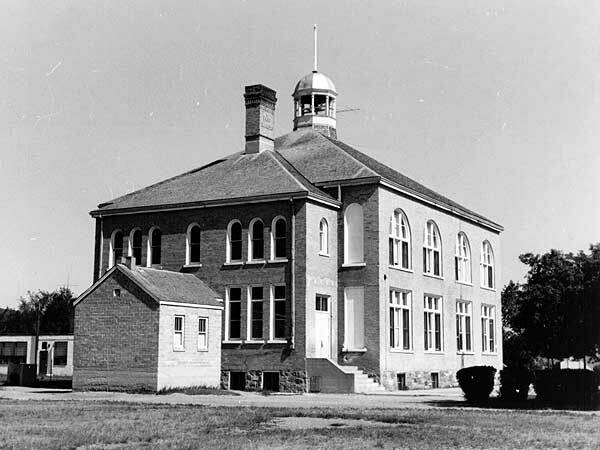 408 (1885-1964), Purple Hill School No. 487 (1887-1959), Brown School No. 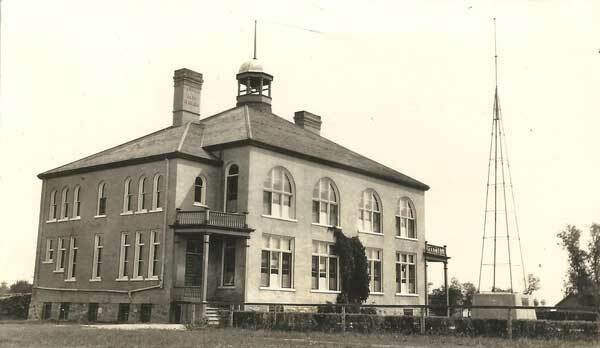 625 (1891-1961), Tremblay School No. 707 (1892-1959), and Peninsula School No. 907 (1897-1961). 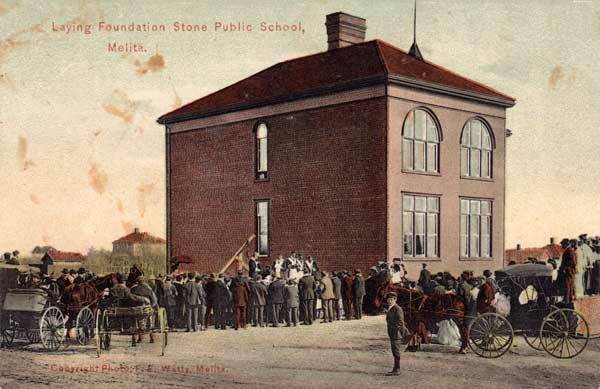 Among the other teachers at Melita School were W. G. Hume and William J. Grant. 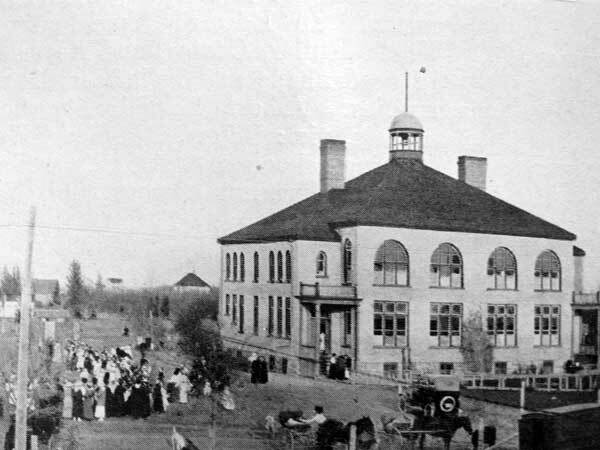 Source: Education Department Report, 1906, Manitoba Legislative Library. Source: Archives of Manitoba, Architectural Survey - Melita 12. 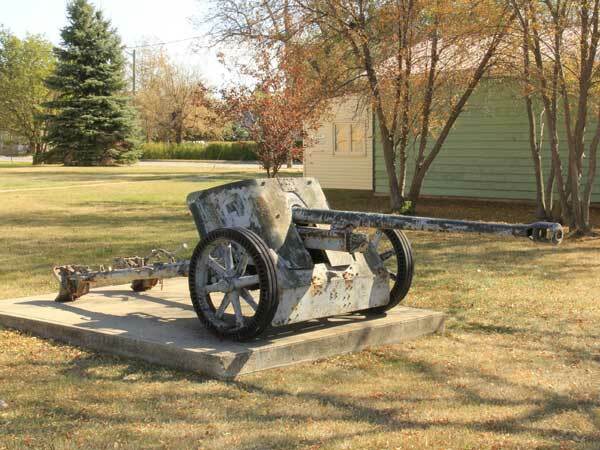 Antler River Historical Society Museum, Town of Melita. We thank James Kostuchuk, Tighe McManus, Rob McInnes, Nathan Kramer, and Darryl Toews for providing additional information used here.